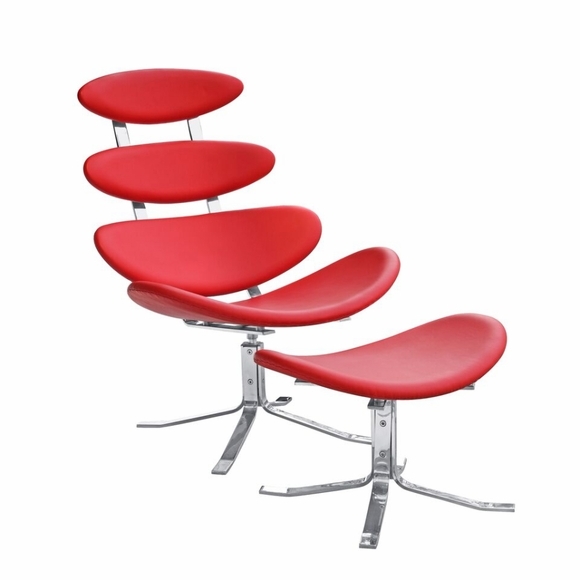 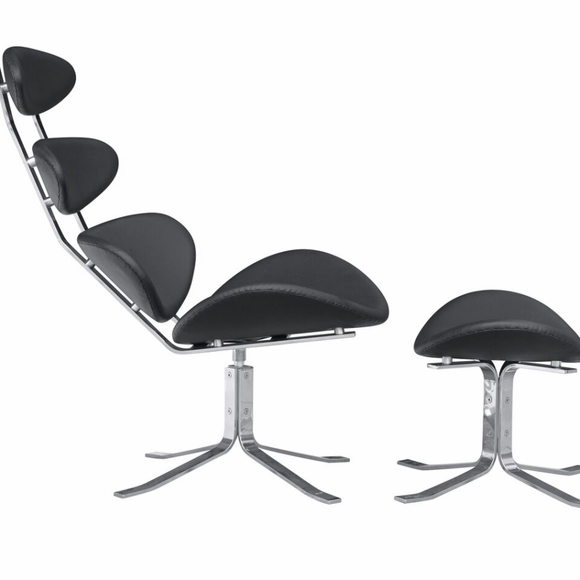 Introduced by Poul Volther in 1964, the Corona Chair and Ottoman represent a Futuristic and Modern phase of design. 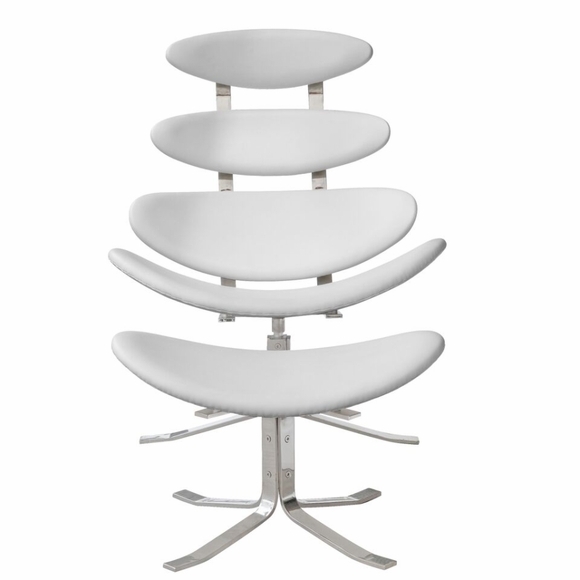 The Corona Chair is fully handcrafted using the finest materials of the modern times. 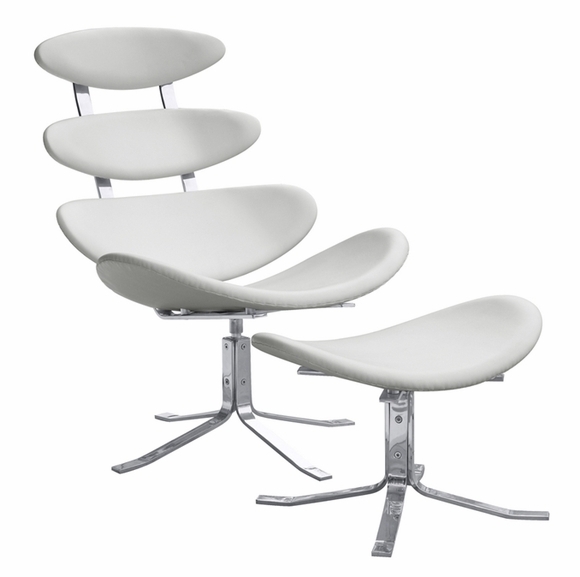 Our Reproduction of the Corona Chair meets the architectural specifications of the original. 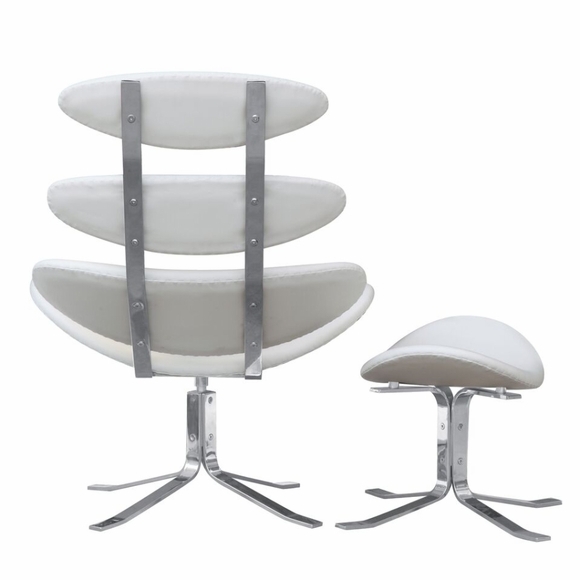 This High Quality Replica of the Corona chair and Ottoman features Superb Comfort, Premium Italian Leather, and Chrome Steel Base.